Size 12 mo. Size 18 mo. Size 24 mo. 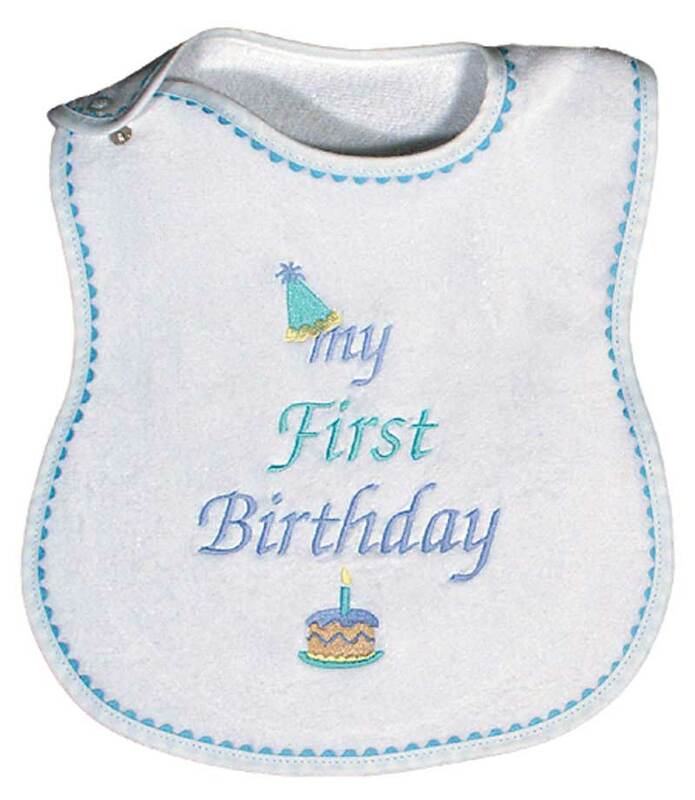 "My First Birthday" t-shirts are a big deal! This is an event to celebrate for both babies and parents. Everybody made it through the first year! 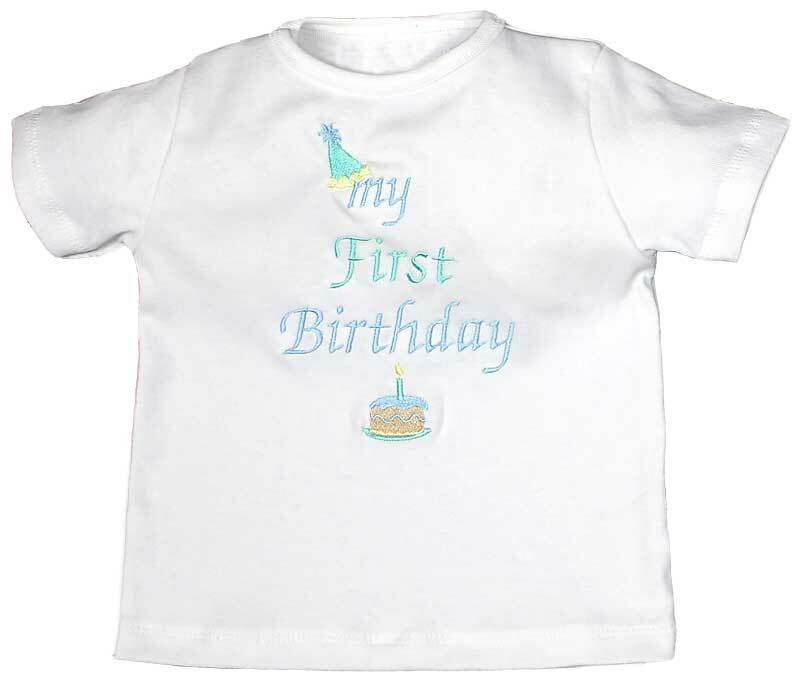 With this embroidered Raindrops t-shirt, everyone will get wonderful photos of the first birthday and know exactly what party it is, for years to come. Made from top quality 100% cotton rib knit, this shirt will go nicely with denim jeans, pants and shorts. Don't miss the matching embroidered boys bib. This t-shirt is also available in pink for girls. Available sizes:12 mo., 18 mo. and 24 mo.